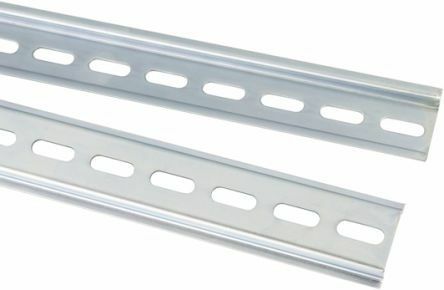 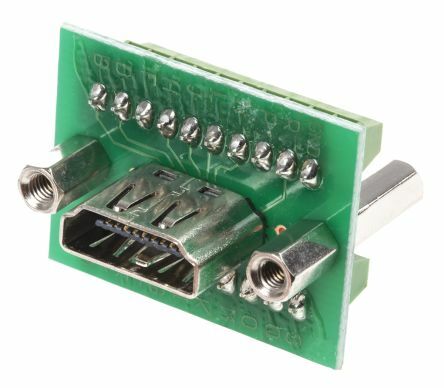 Low profile high-quality machined contact DIP sockets comprising a four-finger (0.3μm)gold over nickel-plated beryllium-copper inner contact with a tin-plated brass outer shell.Temperature Range: -55°C to +125°CInsertions: 1000. 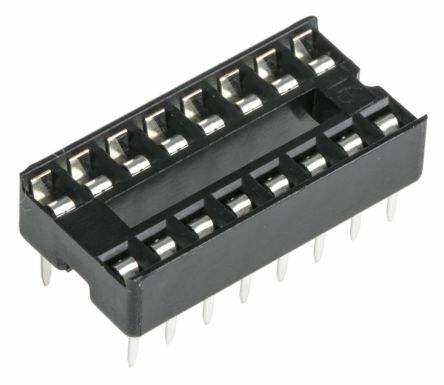 DIL format sockets with wire wrap contacts for integrated circuits.The contacts on these sockets are fully gold-plated to improve wrapping lead conductivity. 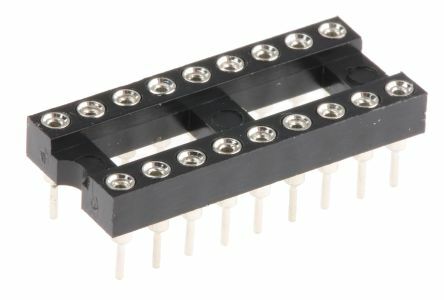 A range of open frame IC DIP sockets with a 2.54mm pitch. 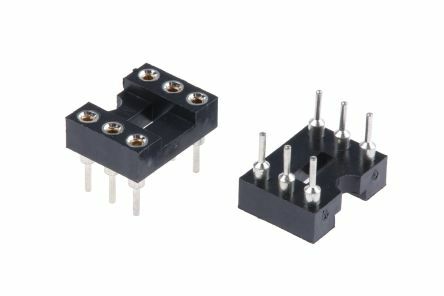 These 2.54mm PCB through hole mount IC DIP sockets have a black UL94V-0 PBT insulator and tin plated turned pin contacts.